The Rubik’s cube wasn’t just cool in the 1980s. It’s actually more popular today in some regards. For example, the World Cube Association is the official governing body of the cube, and its members are always trying their best to break current world records. Yep- “speedcubing” is actually a thing. But how did it get to be so popular? And where did the phenomenon come from? After all, the Rubik’s cube is the best-selling puzzle game ever, and is often regarded as the best-selling toy of all time. In 1972, a Canadian inventor created a new puzzle and received the patent for it. It was 2x2x2, and worked with magnets. It was a good invention at the time, but a puzzle that’s just 2x2x2 isn’t exactly difficult to solve. A few years later, another inventor received the patent for his “Spherical 3x3x3.” He had actually filed for it 4 years earlier. But even though both of these lookalikes may seem like the original source, the real masterpiece came from across the pond. 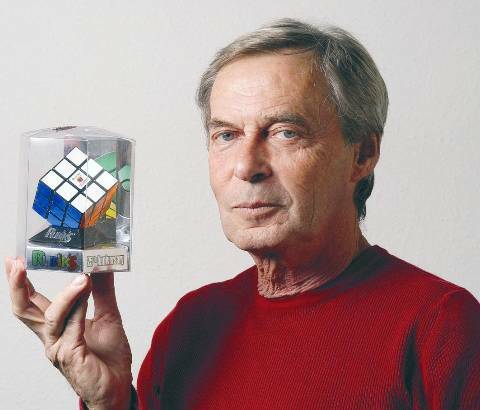 In 1974, a Hungarian architect and sculptor named Erno Rubik invented the cube. At first it was called the “Magic Cube.” The thing is, it didn’t really start picking up steam and gaining popularity for a few more years. In 1980, it won the German Game of the Year award for the Best Puzzle category. This helped skyrocket it’s popularity, especially since it had also gained the attention of businessman Tom Krerner. Even though the original mechanics are the same, the cube has changed a bit over the years. For example, the modern cube has a set order of where the different colors go on the cube. Red is always opposite of the same color (orange), blue is always opposite of green, etc. But originally, it wasn’t like that. It was a bit more complex, because the locations of the colors varied from cube to cube. That meant you couldn’t base your entire strategy simply on the colors you were looking at. Instead, you had to actually have a plan for making each side match, and then be able to execute that plan on all 6 sides. Why Didn’t it Get Popular Early On? Even though the patent was filed for and received in 1974, the first few batches of the cube weren’t actually produced until 1977. They were a hit at the Budapest toy shops where they debuted- especially because they didn’t break! Until this point, all of the Magic Cube’s competitors would easily pull apart due to being held together by magnets. The Magic Cube had interlocking plastic pieces, so it was very difficult to pull apart or break. If you’ve ever seen a speedcuber in action, you won’t know if you should feel sorry for the person or impressed. After all, devoting your life to being able to quickly solve a small puzzle that has been solved billions of times seems a bit odd. But then again, given the history of the Rubik’s cube, it’s understandable why so many people still love this little toy.